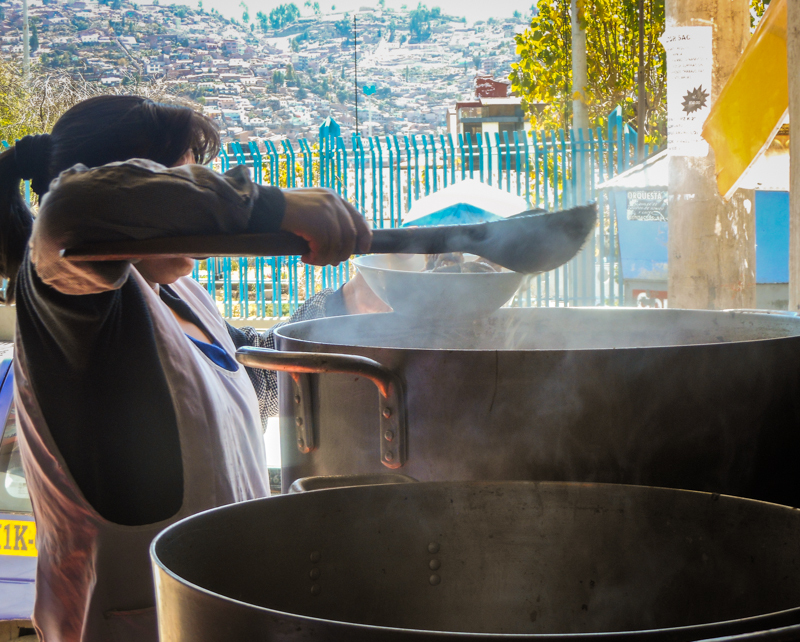 Soup, hot and nourishing, is simply a favorite food of Cuzco, especially in the morning for breakfast or a mid morning pickup. Where do the people of the City find good soups that please them? 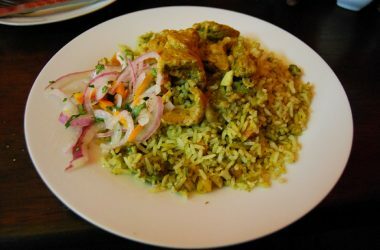 There are many places where you will find calderias, soup joints, in the many varieties that the city loves. One favorite place, called Los Caldos (The Soups) is the stretch by the Coliseo Cerrado, the Colliseum, on Tomasa Titto Condemayta Street. A row of soup shops lines the street across from the Coliseum’s ground, replete with barkers outside. As soon a you step on the steer or step down from your car they surround you to offer you a steaming soup. Perhaps the favorite place is called La Paceña, or the woman from La Paz, Bolivia. 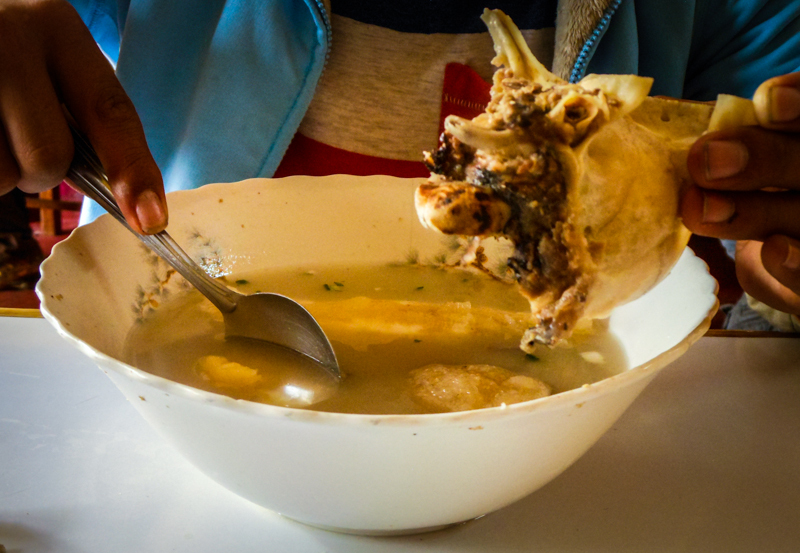 Despite the exotic name, the soup is Cuzco style, although vendors from the high plateau (Bolivian and Peruvian) are famous in Cuzco. It is a humble but welcoming place, with large pots of soup out front. Even though it has soup stores on both sides, with young women who try to draw you in by competing strongly, still La Paceña prevails with the quality of its product. The Paceña is full, while the other places pickup the remainder of the clientele. Every morning people return to the Paceña to get their way to start the morning. Some places a cup of coffee is the thing. 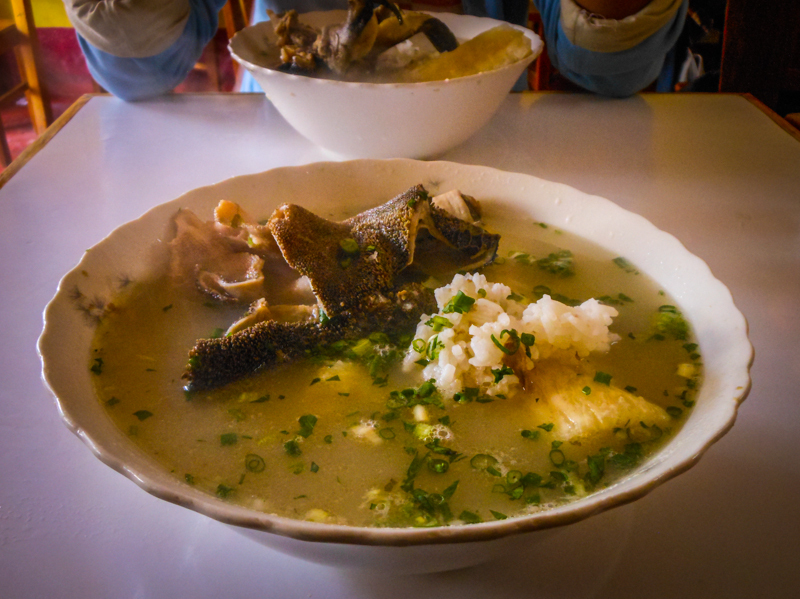 In Cuzco it is soup. It comforts and fills with energy. Different kinds of soups are on the menu: caldo de patitas (beef knuckle soup), caldo de cabeza (head soup), caldo de panza (tripe soup), caldo de pollo (chicken soup), and caldos mixtos (mixed soups). They also have cold drinks, such as the popular Inca Cola, Coca Cola, and Fanta. Only two people work the Paceña but they provide wonderful attention. They have an unbelievable ability to take care of their whole place, full of people, while making each one feel important and well taken care of. Every day they fill up. 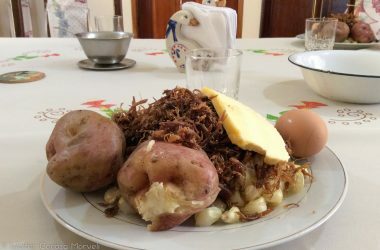 The soup is not just a broth, but includes potatoes, yuca, moray (white chuño), and, if you wish, a cut of meat, whichever you ordered or a combination of them. 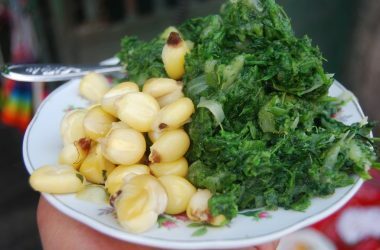 To finish the women mince green herbs, such as parsley or cilantro, and scatter it on top of the soup to give it beauty and also more fragrance. The woman who makes the soup at La Paceña is named Zulma. She comes to sell soup from 5 in the morning so that her clients will be satisfied. Estimados amigos de La Paceña. Muchas gracias por la corrección. Les felicitamos su labor por preparar algunos d ellos mejores caldos y sopas del Cusco. Abrazos.